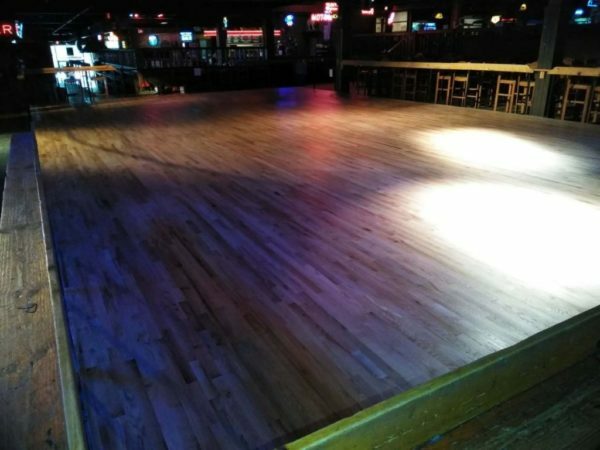 HISTORIC BILLY BOB’S TEXAS GETS NEW DANCE FLOOR | 2911 Enterprises, Inc.
FORT WORTH, TEXAS – After 37 years and more than 17 million Two-Stepping visitors, Billy Bob’s Texas replaced the iconic dance floor! Yesterday, the new dance floor was graced by one lucky couple who got the opportunity to conduct the “first dance”. In addition to the millions of visitors that have enjoyed the 2,000 square foot dance floor, it has been featured in the movies, ‘Necessary Roughness,’ ‘Pure Country,’ ‘Baja, Oklahoma,’ ‘Over The Top,’ and several music videos including the most recent one, “Burn Out” by the Academy of Country Music’s ‘New Group of the Year’ Midland. The unveiling was also covered live by local TV affiliate WFAA (ABC 8) [watch here]. Resource Billy Bob’s Texas online, billybobstexas.com. B-roll of dance floor ribbon cutting ceremony.